In the ongoing pursuit to find unique flavours and tastes, Big Buddha Seeds has yet again achieved something special.... 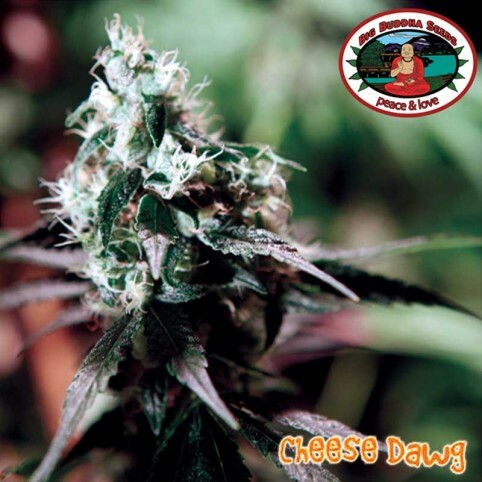 Introducing 'Cheese Dawg', the original 'Chemdawg 91' crossed with our Big Buddha Cheese 'reversed' pollen. Chemdawg originated from the USA from some seeds which were found in some marijuana scored from a 'Grateful Dead' concert back in 1991. Since then 'Chemdawg' has been a top quality proven strain with a unique 'chemmy' taste and pleasurable knock-out high. 'Chemdawg' has been successfully used as a backbone for breeding most of the top American strains you see today. Crossing the 'Chemdawg' with our Cannabis Cup winning strain Big Buddha Cheese you will certainly find a top shelf, connoisseur strain! AROMA Chemmy dank, kushy cheese goodness! FLAVOUR Fruity, chemical cleaner, hashy potency.